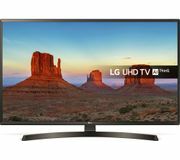 Find a cheap TV deal: 4K TV, OLED TV, HD TV and more. When's the best time to get a TV deal? TVs are a competitive market and so brands are always fighting on price. This is why new technology such as 4K TVs or 3D TVs come down in price so fast. When looking for a TV, note you don't normally buy from the manufacturer direct i.e. Samsung, Sony or Toshiba. Instead, you buy through a distributor such as Tesco, Argos, Amazon and Currys. So when looking for cheap TVs, you're looking for when the distributors have a sale and these vary throughout the year. Amazon Prime Day - In the second week of July each year Amazon hosts Prime Day. This is the company's largest sale event, bigger than Black Friday. You can find good TV deals during this event. For example, this 55" LG 4K TV was reduced to from £1,029 to £689. That's 33% off. However, the discounted prices last less than 24 hours, so sometimes even price history tools do not pick up on it. When looking for a TV deal, sometimes humans are better than computers. CamelCamelCamel, a price tracking tool for Amazon, failed to notice the discount to £689 during Prime Day on July 11th. Black Friday - At the end of November, many retailers drop their prices for a large sale event. Prices drop for about a fortnight around about 25th November, including TV distributors. For example, this 49" LG 4K TV was reduced from £899.99 to £515. That's 42% off. Or this Sony Smart 4K 49" TV was reduced from £1,299 to £599. That's 53% off. Latest Deals member Bestoffer shares a great Sony 4K TV deal during Black Friday. Headline Deals - During big sale events such as Amazon Prime Day and Black Friday, companies offer Headline Deals. These are products with big reductions that catch the attention of the wider media. It's a classic marketing tactic. For example, "Argos Slashes 4K TVs By 80%!" When, in fact, there'll just be one TV with this offer and all the rest are 25%. Therefore, you need to be fast to get these headline deals. Here's a real example: during Black Friday ebay reduced the price of this Sony 32" HD TV to just £259. At the time of writing, this was cheap. It was limited in stock and whipped up a fury. Do not get duped into thinking if you miss one deal you'll miss them all. You won't. Join our Facebook page, get on our Facebook Group, and subscribe to our free daily newsletter for instant alerts. Bank Holiday Sales - You can often get cheap TV deals during bank holiday sale events. Retailers cut their prices during these long weekends to lure you into their shops. Boxing Day, May and August bank holidays are usually the biggest, with Currys, Debenhams, Richer Sounds and others all offering discounts. This price history graph from PriceSpy shows the Samsung UE55KU6500 4K 55" Curved Display TV. On May 1st 2017, Bank Holiday weekend, it was at its lowest price at £545. Sales - Retailers offer their own sales throughout the year. There is always an electronics store with discounts on TVs, and you can search Latest Deals for the brand to discover what's on. For instance, Argos TV sale offers a savings of up to £50 off on select TVs. Furthermore, scroll up on this page to see the latest TV deals found by our community of bargain hunters. If you yourself find one, please help others and share it here. Clearance - Clearance is different from a sale. Clearance is a sale event in which the vendor intends to get rid of all remaining stock, so you are sure to find amazing deals here so you better lookout for them. Amazon and other retailers offer TV sale clearance on their wide range of Ultra HD 4K TVs, Smart TVs, Full HD TVs, LCD TVs, LED TVs, OLED TVs and 3D TVs. An Argos smart TV starts at just £149.99 on their clearance section. The graph below shows the number of people searching for cheap TV deals (source: Google Trends). It reveals that during Black Friday in November, demand for TVs jumps. This is because people become aware there are discounts on offer. However, think about it from a marketer's perspective. They know demand will soar during this period so they want to maximise profit. They will wrap deals up as best they can to look as if they are big discounts, without being one. I published an investigation in The Sun revealing some deals on Amazon were 10 times bigger than they really were. You can use price tracking tools Idealo, PriceSpy and CamelCamelCamel to see what the price was in the past and if you are getting a good deal. However, some bargain hunters from our community choose to avoid Black Friday and focus on the other sale events listed above. Note from Tom - we hope to be integrating price comparison and price history data into Latest Deals. If you think this is a good idea, or have any others, please submit them in our Feature Requests Chat thread. 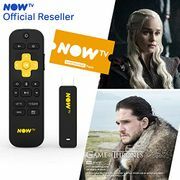 What are some cheap alternative brands for TV deals? You may able to save money by focusing on lesser-known brands, but always check reviews first. with its 100,000 subscribers on whether cheap TVs offer good value or break. It found that overall, big name brands such as Samsung, LG and Panasonic do offer better value for money in terms of less complaints, fewer problems and consumer satisfaction. Yet the price difference between a big brand and a small one may not be that large. Plus, they point out big brands tend to have larger support services and offer longer guarantees. I'd add they also hold on to their re-sale value for longer. If you do get a TV deal from a smaller brand, be sure to read the reviews first. Only ever trust reviews from actual customers, not publishers or the media who are earning money from the reviews. Revoo is a good review site for TVs with customer reviews. You can get good TV deals by purchasing second hand or refurbished. If you're not fussed about having the latest TV, or can't even tell the difference between high definition, ultra-high definition, 4K, OLED, LED and Plasma... then buying second hand or a refurbished television set may be the cheapest option for you. ebay - ebay offers the biggest range of second hand cheap TV deals. Search for the brand and size you're after, for example, Samsung 40" TV. You'll see a list of options and you want to filter the results to 'auction' to see the cheapest (usually). Read the descriptions carefully to make sure the TV is in perfect working order and take a look at the seller's feedback history. Have they sold items on ebay before? Do they have good reviews? Pay with PayPal as then you get extra protection and its easier to get your money back if anything goes wrong. shows you price trends of ebay listings. Here you can see Samsung 40" TVs go for an average of £108.25 second hand, with the cheapest time to buy Thursday 4AM - 8AM. Some listings are as little as £27. Gumtree - Gumtree is one of the UK's largest classified ads websites. Here you can find cheap TV deals in your local area. Again, search for Samsung 40" TV (or whatever) with your post code. A list of local results will be shown. Unlike ebay, there is no bidding, it's just a fixed price which you organise with the seller yourself on how to pay. It'll always be collection only, so be sure you've thought about how you're going to get the TV home. FreeCycle - You may be able to get a free TV. FreeCycle is a community website where people list things they're giving away for free. You must apply to your local area group, for example, "Bromley", and once you're approved then you can search for the offers. Sometimes there is a free TV listed. Amazon Warehouse - You can find many TV deals in Amazon Warehouse. This section of the retailer's website lists second hand, returned and refurbished TV sets. For example, imagine someone bought a Sony Bravia 65" TV, realised it didn't fit in their house and returned it. The box may be slightly damaged so it goes to Amazon Warehouse where you can now buy it at a discount. Perfect condition, just a money saving opportunity for you. ebay Outlet Stores - Did you know many big brands such as Argos, Currys PC World, AO.com, Dyson and more have ebay outlet stores? Here you can find refurbished TV deals similar to the Amazon Warehouse. It's a brilliant way to save money, and you'll find other categories of items too such as fashion, kitchen appliances and vacuum cleaners. Which are the cheapest retailers for TV? Latest Dealers are always looking for more information. Finding the best TV deal is a question of hunting for the most data and using it to make an informed decision. However, the curse of bargain hunting is that this quest for more information can be addicting! You may end up spending so much time looking for the best deal that you never get one at all. Sometimes its best to stick to general rules and principles (read: The 3-30 Money Diet). Currys is cheaper 44% of the time on TVs, and Argos only 13%. Amazon is cheaper 43% of the time for TVs, and Currys only 6%. Amazon is cheaper 42% of the time, but Tesco was cheaper for TVs 29% of the time. Tesco is cheaper for TVs 36% of the time and AO 29%. They had the same prices on 35% of TVs. What does this price fight tell us? Amazon as a general rule seems to have the cheapest prices for TVs. If you can't be faffed by all the price comparison malarky, then head there. But, if you're after a specific model, size and brand, it pays to shop around. Amazon is not always the cheapest. Indeed, Tesco is cheaper for 29% of TVs. In other studies Richer Sounds is cheaper 16% of the time and The Co-Op Electrical 26%. A final point: Distributors often have voucher codes knocking the prices of TVs and electricals. Price comparison tools and price drop alerts will not notify you about these. Again, it's another reason why the best deal hunting site is one that combines human knowledge with computing power (ahem, that's Latest Deals). You can find hundreds of vouchers on our site and if you just search for the brand you'll find them listed. Plus, make sure you sign up to Latest Deals. It's a free money saving community where we help each other save. Every day, thousands of members post the UK's best deals and discounts. You can also find freebies and as a final tip for cheap TVs, why not give a go at winning one in our competitions section?